Walk Memory Lane | Where the past lives. Lock, Stock, and Two Smoking Barrels is a British crime comedy thriller directed by Guy Ritchie that brought Ritchie international acclaim and nominated for a BAFTA (British Academy Film Award) as Outstanding British Film of the Year. It tells the story of a botched London card game that triggers four friends (Jason Flemyng, Dexter Fletcher, Nick Moran and Jason Statham), thugs, hard gangsters, loan sharks and debt collectors to collide with each other in a series of unexpected events, all for the love of weed, cash and two antique guns. The film was Statham’s first film role. Lock, Stock, and Two Smoking Barrels was produced for a astounding 800,000 pounds ($1.35 million U.S.) and brought in over #28 million, making it a huge commercial success. 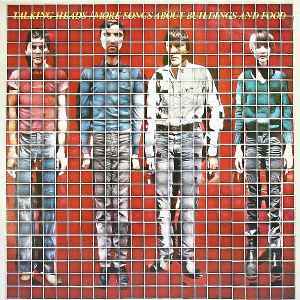 More Songs About Buildings and Food was the second album of American rock band The Talking Heads. It was the first of three albums produced by collaborator Brian Eno. It saw the band move toward a more danceable style. The name came about this way as quoted by bassist Tina Weymouth in a 1979 interview with Creem magazine: “When we were making this album I remembered this stupid discussion we had about titles for the last album. At the time I said, ‘What are we gonna call an album that’s just about buildings and food?’ [Drummer] Chris [Frantz] said, ‘You call it more songs about buildings and food. '” The album cover was conceived by singer David Byrne and executed by Jimmy De Sana. It’s a photomosiac of the band made up of 529 close up Polaroid photographs. More Songs About Buildings and Food peaked at #21 in the UK and #29 in the U.S. The single released was a cover of Al Green’s Take Me to the River which peaked at #26 in the U.S.
Il lupo mangia frutta (Fruit Eater Wolf) is a children’s game that is played by a group. It is similar to musical chairs. One child plays the wolf and stands to one side. The other children play fruits and stand in a line in front of him. The fruit think of the name of a fruit. The wolf says “toc toc” (to indicate knocking). The fruits answer “who is it?” The wolf names himself “I am the wold mangia frutta!” Children ask him what fruit he wants. The wolf then names a fruit and the children who were that fruit run around the line of “fruits” to get back to their spot in line without being eaten by the wolf. If the wolf catches one of the fruits, that child becomes the new wolf. When young boys of the Satere-Mawe tribe become sexually mature they must perform the Bullet Ant Glove ritual. The boys, a Medicine Man and other boys his age go into the jungle to gather bullet ants. Bullet Ants have the most painful sting in the world; it has been compared to bullets hitting flesh. The boys gather the ants who are drugged with herbs to put them to sleep by the Medicine Man. While the ants are sleeping off the drugs, they are placed into woven mesh gloves. When they wake up, they are trapped and become angry and aggressive. Boys must keep the gloves on for ten minutes and do a dance to keep their minds off the pain. As if that isn’t bad enough, a boy must perform this ceremony 20 before they can prove that they are now men. Written in the Stars was the third single off English rapper Tinie Tempah’s debut album Disc-Overy. However, Written in the Stars featured American singer Eric Turner. Written in the Stars debuted at #1 in the UK and was Tempah’s second #1 single (after his debut Pass Out). Written in the Stars served as Tempah’s debut U.S. single where it peaked at #12. It was used by Major League Baseball in their commercials for the 2011 Major League Baseball Postseason and by the WWE as its theme song for WrestleMania XXVII. Sky Sports uses it as their theme for coverage of premier League football. During the Miss USA 2011 competition, the song was used as background music for the Evening Gown competition. The New York Giants used it as their entrance song during Super Bowl XLVI and it could be heard during the closing ceremonies for the London Olympic Games in February 2012. While Tempah has not any problems hitting the charts again in his native UK, he has only had one other song to hit the Hot 100 — Til I’m Gone which featured rapper Wiz Khalifa and peaked at #90. Written in the Stars was also a #1 single in Ireland. Turner meanwhile, has yet to hit any chart worldwide again, despite featuring on 5 other singles and his debut album release, Eric Turner: The Life. Grace Patricia Kelly was a successful American actress that retired at the age of 26 after her marriage to Prince Rainier III of Monaco in April 1956. The pair met while Kelly was to appear at the Cannes Film Festival in April 1955. Kelly was invited to participate in a photo session with the Prince at the Prince’s Palace, about 55 kilometers away from Cannes. After a bunch of delays and compilations, she was finally able to meet up with him there on May 6, 1955. Though Kelly was dating a French actor (Jean-Pierre Aumont) at the time of the meeting, Kelly and Prince Rainier III hit it off and dated for about a year before their lavish wedding was considered the wedding of the century. The couple actually had two ceremonies according to the Napoleaonic Code of Monaco and the laws of the Roman Catholic Church. Their civil service ceremony took place in the Palace Throne Room on April 18, 1956. The reception was attended by 3,000 Monegasque citizens. The following day the church ceremony was held at Monaco’s Saint Nicholas Cathedral and was watched by over 30 million viewers on live television and described as “the first modern event to generate media overkill.” Kelly gave birth to three children — Caroline, Albert (who is the current Prince of Monaco) and Stephanie. On September 14, 1982, Kelly and her daughter Stephanie were driving in a car when Kelly suffered a stroke causing her to lose control of her car and the pair went tumbling down a mountainside. Kelly died a few days later never regaining consciousness. Stephanie survived the accident. Kelly was only 52 years old. The hospital (Monaco Hospital) where Kelly and Stephanie were taken to was later renamed Princess Grace Hospital Centre. Prince Rainier refused to remarry and died on April 6, 2005 at the age of 81 due to lung, heart and kidney problems from his love of smoking cigarettes. 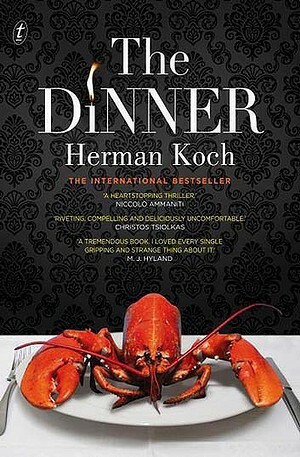 The Dinner was originally published in Dutch by Dutch author Herman Koch in 2009. It was translated into English and published in Great Britain in 2012 and the U.S. in 2013. It became an international best seller and has been adapted into three films (the most recent being in 2017 starring Richard Gere). The dinner sees Paul Lohman, a former history teacher and his wife Claire meeting at a fancy Amsterdam restaurant with his elder brother Serge, a prominent politician and contender for the position of Dutch prime minister and his wife Babette. They are meeting to discuss how to handle a crime committed by their teenage sons, Michael and Rick. The two boys committed a violent crime that had been filmed by a security camera and broadcast on TV, but have yet to be identified. The dinner debate causes much tension throughout the evening. Lemon Coolers were crumbly lemon cookies coated with powdered sugar and sprinkled with lemony bits. They disappeared (much to the dismay of the public) from grocery store shelves when Sunshine Biscuits merged with Keebler in 1996. As tends to happen, there were many online petitions to bring them back and Niche Foods Company have attempted to do it. 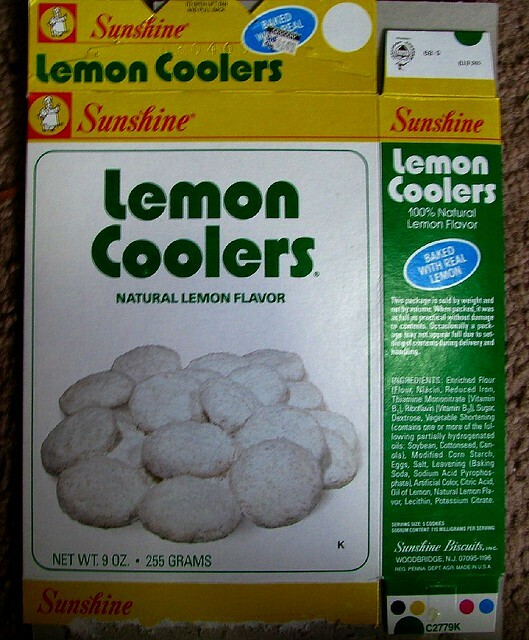 Niche Foods Company is dedicated to bringing back many “Old Time Favorites” foods when they introduced Lemon Cookies with the tagline “Cooler than ever.” Are they the same? Fans say they’re close. They aren’t as chewy or as lemony and they aren’t quite as tart. If you’re interested in trying to make your own, there are also numerous recipes online. The Baseball Bunch was a syndicated Saturday morning educational children’s TV series that ran for 5 seasons from August 23, 1980 through to the fall of 1985. It was produced by Major League Baseball Productions and featured a combination of comedy sketches and instructional tips to Little League aged children. 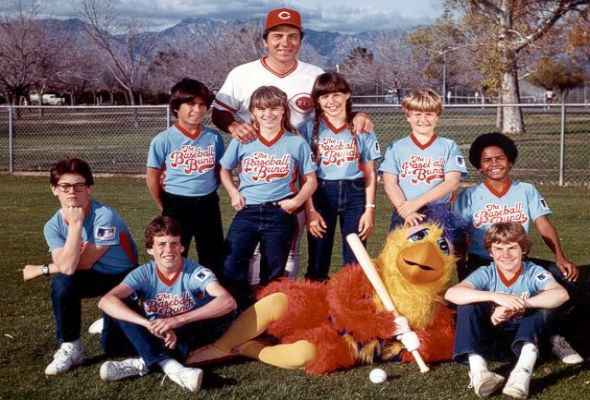 Over the years it starred Tommy Lasorda, Johnny Bench and the San Diego Chicken and a group of 8 children (various boys and girls from ages 8 to 14).